Have you always wanted to learn how to play Candy Crush Saga? Follow the simple steps below and start playing today. Download the Candy Crush Saga app from the App Store or use Facebook to connect to the game. Your mission is to match candies on the game board, which will eliminate them. You have a limited number of moves you can use to complete each level before the game is over. You earn points every time you crush a piece of candy. If you don’t get enough points by the end of a level, you’ll lose one of your five lives. Crush candies by swiping over three matching pieces of candy in a row. You can match more than three pieces in a row or in a connected shape for special bonuses. 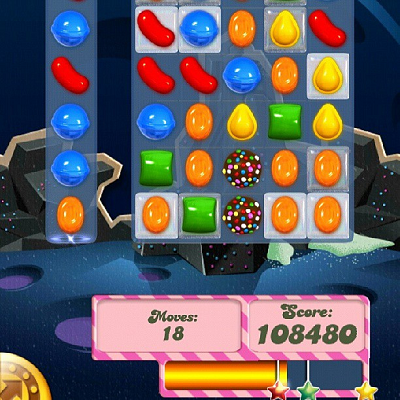 Once you crush a row of candies, the row will disappear and the candies above the row will drop down. Every level has a goal, which may be to earn a certain amount of points or to move a certain item to the bottom of the game board. You can play 15 levels at a time. If you want to move to the next set of levels, you’ll need to buy Candy Crush Saga tickets or receive them as gifts from a friend. You can earn boosters in the game, purchase them, or receive them as gifts. Boosters can add moves, give you extra lives, create candy crushing explosions, and more. Follow the easy steps above to start playing Candy Crush Saga today. Happy crushing! How is it that my spouse and I play candy crush saga and end up with the exact same scores on every level? can I access my FB profile and messages via Candy Crush?